Cracking, curling or damaged shingles, exposed nails, roof vent issues, or leakage… These are all signs your beautiful home needs some help. It might be time for a new roof. Although replacing a roof may seem like an overwhelming project at first, don’t worry — the solution is right at your fingertips. What you have to do is to get the right information and hire the best roofing company to get the job done. In this article by Prime Roofing, we’ll help you ask the right questions when making a hiring decision. The most important thing is that you find a reliable partner. The kind of partner that would understand and fix the source of the problems you’re experiencing, including worn-out shingles, leakage, condensation and ventilation problems, the lack of light in your roof space, etc. Now let’s discuss the most important questions you should ask yourself and the roofing company before hiring anyone. 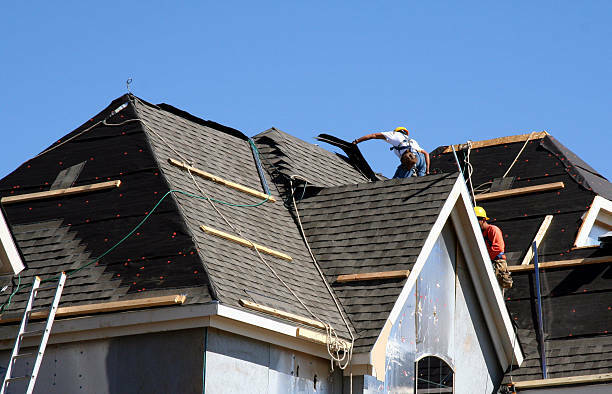 When looking for a roofing company to hire, the number of options may be overwhelming. Use HomeBlue Contractor Network for help finding a trusted local contractor to work on your roof. We recommend you get as many details as you can about the company you plan to hire before you conclude the contract. This means that if you feel like getting certain information is important, don’t hesitate to ask for it! 2. Do you have all the required permits for my project? Checking the company’s permits is very important as it can save you from much-unneeded hassle. Having the roofing company gather all the needed papers will save you valuable time, energy, and even money. The good news is that serious, reliable companies often offer this value-added service, so you don’t have to worry you’ll be searching for a needle in a haystack with this requirement. The even better news is that in most cases, roofing companies offer this service for free, so you won’t have additional costs for the time leisure you’ll get. 3. How much time will it take to complete my project? 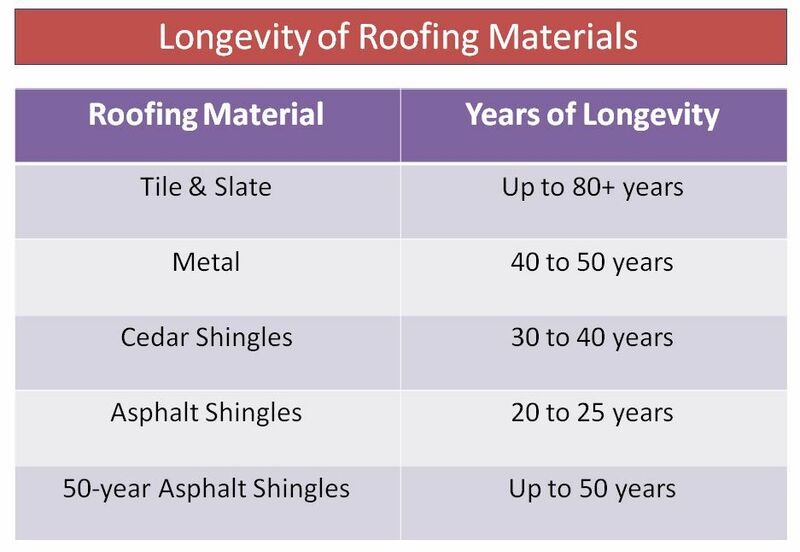 Another important question to consider is how long it would take to get your new, improved roof. Speaking of the time component, there are certain norms based on the size of the roof surface. Here’s an example that can give you an idea of how much time it would take for your home to get a new roof. Let’s say you own a 2,000 ft2 house and you need a typical architectural roof replacement. In this case, the roof replacement project will take as few as 2 days. However, you need to take into account specific conditions and unforeseen circumstances when estimating the time-frame for project completion. Our recommendation is to contact a few roofing companies to collect estimates for your specific project. The next question you would want to consider is the cost. If you are like most people, then you probably want to get the highest possible quality for the lowest possible price. Therefore, it is important you do your research well and source offers from multiple companies. But to speak in general terms, the cost will depend on the type of service provided and the size of the roof surface. It is useful to know that the roof is approximately 35–40% bigger than the size of your house. This means that the size of the roof of a 2,000 ft2 house will be approximately 2,700–2,800 ft2. An average cost for replacing the roof of this size by renowned companies would be in the 8,500–10,000 USD range. However, don’t just look for the lowest possible price in this range. You should make sure to thoroughly review what the cost includes, as sometimes a slightly higher price can be more cost-effective if you get additional services and a value-add. 5. How long will my new roof last? In the previous question, we’ve discussed the roof replacement price, and we admit the cost may seem a little steep at the first glance. This is why we’ve included this question next — we feel it’s important you understand how to convert this roof cost into an investment that will buy you many cozy years in your home. To make sure that you get a long-lasting, high-quality roof for your home, you should consider a few important elements. First, you should make sure that you find a highly reliable partner for this project. This gets us back to the first question in this article and to the fact that the roofing company you hire must be highly professional and trustworthy. Next, you should make sure to choose the right materials for your roof. Nowadays, there is a plethora of materials used for the installation of roof systems. Some of these are wood, plywood, metal, tile, or asphalt shingles. You should review the advantages and disadvantages of each of these to be able to reach the right decision. Last but not least, you should make sure you get good ventilation. Ventilation is one of the most important factors that influence the life-span of the roof, so you should pay special attention to this. One of the contemporary solutions to the ventilation problems is certainly a solar attic fan. Not only is this an effective solution for the ventilation problems, but it also allows significant energy savings, which is why we highly recommend you consider it for your home. 6. Will I get a warranty for my new roof? This question relates closely to the previous one. You chose a reliable partner, great materials, and installed a solar attic fan, and now you wonder if you’ll get a warranty that your roof will last. If you’re serious about providing your roof with a long-lasting life, you would want to get the full system warranty. Make sure you find a roofing company that provides it. If the company emphasizes they do not use subcontractors for project execution, this can be an indication that they offer full system warranty. They do all the work “in-the-house” and thus can guarantee for all the elements of roof installation. 7. Can you meet my specific requirements? All roofs may look alike, but like every house has its own special characteristics, so does every roof. Therefore, every roof needs a unique project plan. Roofing companies will send an engineer to your house to discuss your requirements and assess the viability of your requests. They will inspect everything and suggest the most optimal solution to meet your requests, but also safety and quality standards. Be open to their advice to ensure a win-win outcome and a fast and high-quality service. 8. What other projects have you worked on in my area? After you’ve determined your needs and asked all the questions you could think of, it’s time for the next step. As the next step, you should confirm that you’ve truly found a prime company to do your roof replacement. The best way to do this is by confirming what the company of your choice has done in the past. Look for the company’s customer reviews. Check how many reviews they have, what is the average satisfaction rate, and what their customers are saying. If they have a lot of happy customers, you can rest assured that you’re in the good hands. Ready for a better roofing contractor experience? Now that you’re fully equipped to make a good, informed decision on what kind of company to choose for your roof replacement, you should start evaluating your options. 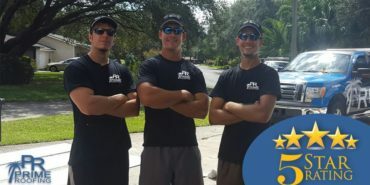 To get started, we suggest you set up your first estimate right away — get in touch with Prime Roofing in Jacksonville, FL via the online contact form or call us at 904-530-1446. Excellent work. Very professional, and communicated with us throughout the process. I Highly recommend them.